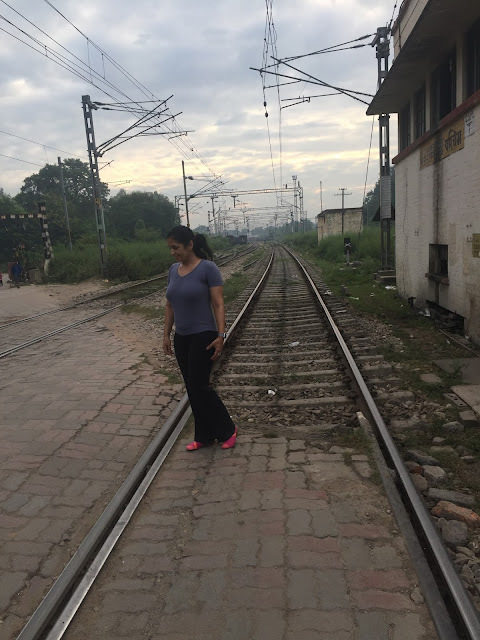 I have promised in my previous posts to do a detailed post on Varanasi in Banaras. 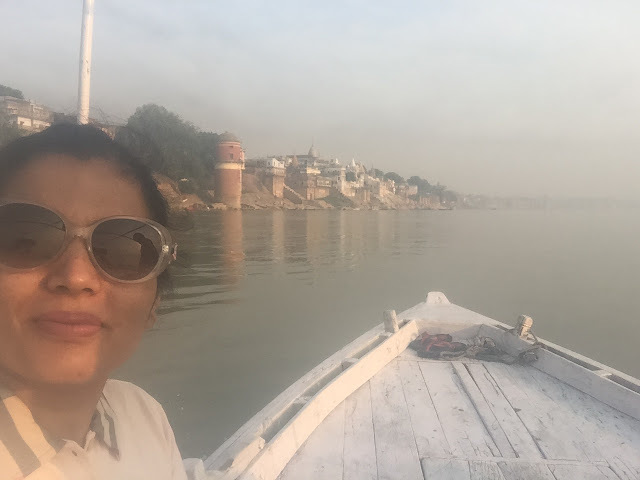 As a kid, I have been to Banaras and Allahabad and I have faint memories of the ghats and the banks of river Ganges but I used to wonder why every visitor (especially, foreign tourists) was so fascinated with Varanasi. This trip was enlightening for me. Varanasi is magical and mystical. It has some paranormal charm. Varanasi has very narrow lanes and roads that are dirrrtty and noiiissy. You see lots of garbage all around and people on the road honk constantly unnecessarily. There are two-wheelers driving side by side with cars on the narrow roads. Each person you meet will try to fleece you and make money out of you. So you have to be street smart and rely only on Google. Now having said these, let us come to positive things about Varanasi which outnumber the negative. As I said earlier, there is some innate mystic charm in Varanasi that drives people to itself. It is a holy city with many temples. 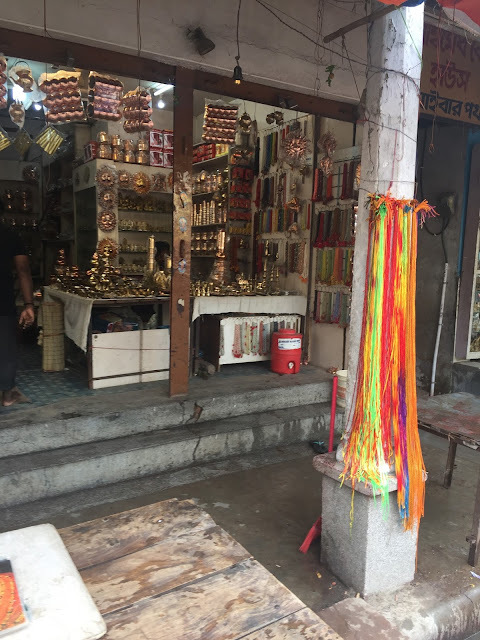 Right outside the Kashi Vishwanath temple are the narrow lanes that sell many things of Hindu prayers and rituals like prayer beads, kamandal (holy pot), etc. There are also innumerable saree shops in Varanasi and you can get beautiful Banarasi sarees from Rs.200 going up to Rs. 2,00,000/-. The difference is whether they are made on powerloom or handloom. Another difference is whether it has pure zari (silver thread) or it is tested or plastic. They have been weaving in the subcontinent since at least the time of the Rig Veda. Seen from the outside, Banaras seems like the microcosm of this tradition. It became a hub of weavers during Mughal times when craftsmen migrated here from Persia. It saw rich traditions like kimkhwab (lit­tle dream) emerge, in which you could hardly see the silk for the zari. The famous Banaras bro­cade became a byword for Euro­pean luxury and the Banarasi sari a must for North Indian brides. Today, its many thousands of weavers churning out Banarasi saris, with their trademark pat­terns of paisley, geometrical motifs, or hunting scenes are all caught up in a storm of handloom vs powerloom, dying techniques, migrating weavers, fake Bana­rasis with plastic ‘zari’ made of Chinese silk, and attempts at revival. And the fact of a heavy Banarasi handloom selling for Rs 1.50 lakh in the prime markets of Delhi and Mumbai. The real work is done by the gaddidars, the wholesale operators who have emerged from a family tradition of weav­ing. The gaddidars constitute an experience to be savoured: classic white sheets and bolsters spread across the whole room, sitting on the floor, a choice of lassi or tea, or anything Banarasi you care to ask for… before the business of unfurling and discussing the saris begins. They are at pains to point out that they are not ‘traders’ but manufacturers. They have their own set-up of weavers, master weavers, designers, and they supply their own materials, taking responsibil­ity for its authenticity. Silk, organza, net, cotton…, jaamdani, tassar, rangkaadh, shikargah, kadhua… silverwork, gold zari… heavy and light, delicate and ‘fancy’, the whole range of what Banaras has to offer is rolled out to stun the senses. But they don’t really deal with individual cus­tomers. Wholesale buyers from Mumbai, Delhi, Kolkata, and Chennai throng these vast establish­ments, which are well-known names in the tradi­tional Chowk area of Banaras. Some of the old-time Muslim master weavers are yet another gossamer tale. Banarasi saris force you to reassess your idea of luxury. The Banarasi-specialist traders in the Chowk area have higher-end saris. Silk weaving is perhaps the most popular art of Varanasi and Banarasi silk sarees form an indispensable part of an Indian bride's trousseau. The world-famous gold and silver brocades and richly worked saris are known to have passed on from generations to generations much like family jewels without losing their charm. Besides Banarasi saris and brocades, you may look for wonderful pieces of brassware, copperware, wooden and clay toys and antique designs of heavy gold jewellery in Varanasi. 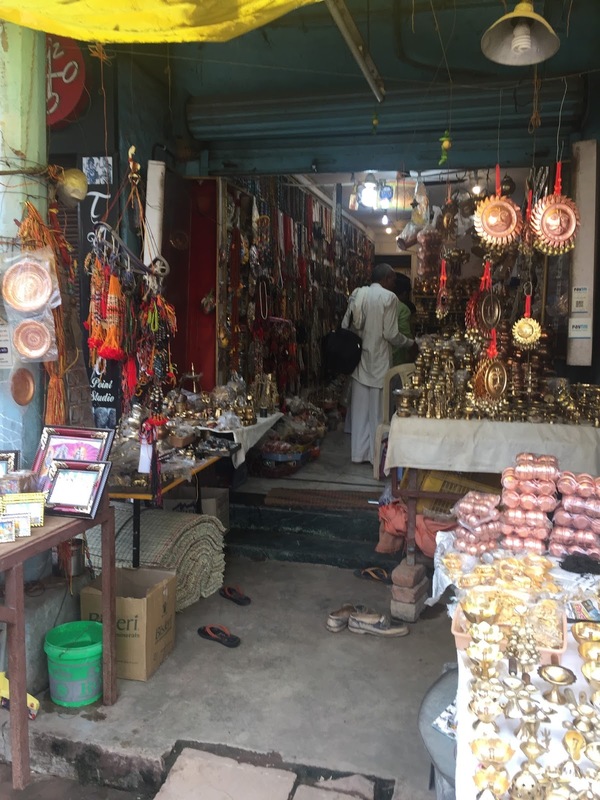 Other shopping attractions of Varanasi include the hand-knotted carpets of Mirzapur, musical instruments, the 'khatta-meetha' (sweet 'n' sour) 'Langda Aam', a popular variety of mangoes available during the summer season and the famous betel leaf that is considered a speciality of the place. Benarasi people can be seen chewing betel leaves as a part of their cultural upbringing and they even welcome their guests by offering them the famous betel leaves. The shopping hotspots in Varanasi are Chowk, Gyan Vapi, Vishwanath Gali, Thatheri Bazar, Lahurabir, Godoulia or Dashswamedh Gali and Golghar. Besides the illustrious and fine silks and brocaded fabrics, one can also buy shawls, carpets, wall hangings, Zari work; stone inlay work, glass beads and bangles, masks of Hindu and Buddhist deities and lampshades. However, one has to be on watch while buying silk saris and beware of the imitations that are much cheaper than the real silk ones but are not so easy to distinguish. One can also buy 'kamandalam' or brass water pot from Varanasi, which is often used by saints to carry water. People buy bottled 'Ganga jal' or jerrycans from the riverbank too for religious purposes or to be used as Holy Water in various rituals. Besides, people can also take the water of Ganges themselves from the river. 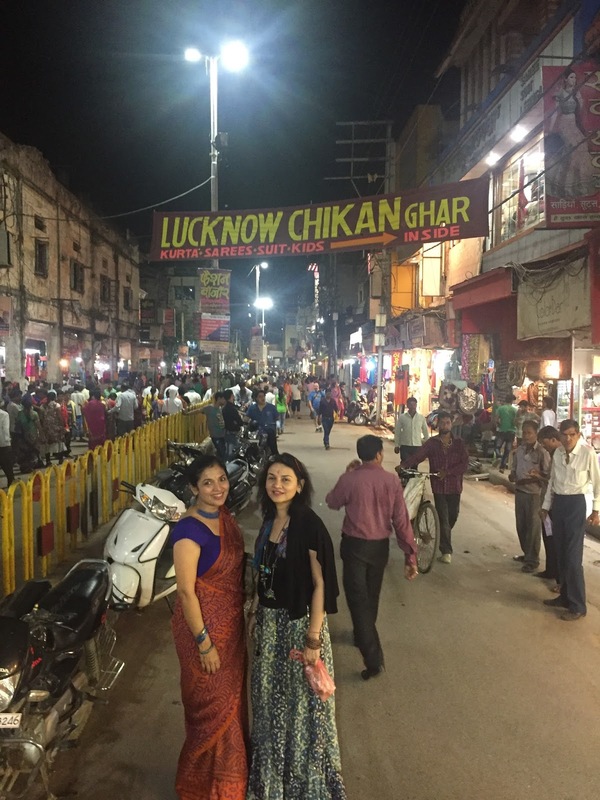 Chowk and Vishwanath Gali are two of the most famous street markets in Varanasi. These markets are famous for items such as Banarasi silk sarees and silk brocades. There is also a wide variety of jewellery on display and for sale at these markets. Gadolia market is truly a shopper’s delight. One can find a great variety of products ranging from silk brocades to bangles, from jewellery to woodwork items. Taj Estate, B-12/120 RS Gauriganj, Bhelupura, Varanasi (0542-2452228/ 9839055064). They supply to Kalpana in New Delhi. Nilambari Saris, CK 39/74-76, Rajakatra Chowk, Varanasi (9415221270). They supply to L’Affaire in New Delhi. They also have retail outlets in Saket in New Delhi and Banjara Hills in Hyderabad. JDS Exclusive, CK 19/16 Chowk, Varanasi (9336911581). SND (Shah Narayan Das), CK 19/17, Chowk, Varanasi (9336904040). Their retail outlet is Ekaya in Defence Colony in New Delhi. Mehta International Silk-Weaving Centre S 20/51, 3B, Varuna Bridge, Cantt Varanasi (0542-2505589). HM Textiles (Hasin Muhammad), K 52, Dulligaddi (Behind Yamuna Talkies), Varanasi (9336960317). Make an appointment. Haji Munna Creations, D 44/30-31, Reori Talaab, opp Haji Abbas Tani Wale, Varanasi (9889707675). They supply to Heritage in South Extension in New Delhi, and to Cottage Emporium in New Delhi. Make an appointment. The Taj Nadesar Palace (from Rs 54,000 doubles plus taxes, +91-542-6660002-06, tajhotels.com) is an impeccable gem in the riotous treasure house that is Varanasi and, currently, the only true luxury property in the city. Its colonial-era heritage buildings and soothing grounds are a pleasure, and the fact that there are only 10 suites makes the place delightfully intimate. 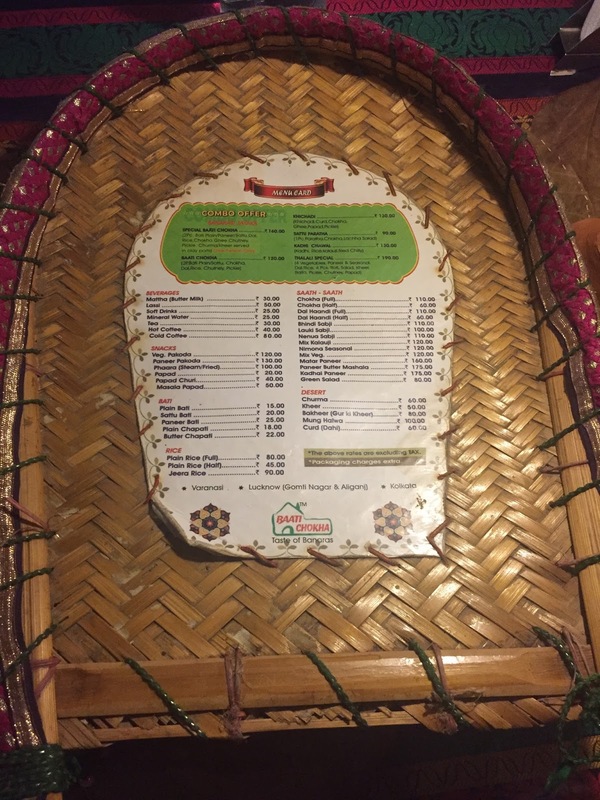 The food takes in ‘satvik’ Banarasi cuisine, sumptuous Maharaja thalis, pasta full of organic homegrown veggies, local sattu parathas, and the best fusion dahi-puri ever! Plus, anything else that you’d like to discuss with the chef. Activities include guided city tours, a golf course, a horse-carriage ride, and the Taj Group’s signature Jiva Spa. The suites come with all expected amenities: mini-bar, wifi, tea/coffee-makers, AC, TVs, bathtubs, rain showers, fruit platters… the works, along with some excellent hospitality that you’d expect from the group. Not to mention a personalised letter pad with your name on it, and your photograph that is framed and ready in your room by the time you check in! The Taj Nadesar also carries out some worthy CSR activity in the weavers’ village of Sarai Mohana. Weavers had migrated from here to look for work. The Taj supports the community by sponsoring 25 weavers, sourcing saris for its staff from them, running computer classes as well as weaving classes for the children, and providing solar panels and toilets. Varanasi is a foodie's paradise. Do not ask for anyone's recommendations here for where to go and eat. You will be guided to fancy and commercial eating joints probably from where they get commissions. Cab and auto rickshaw drivers will send you to restaurants like Annapurna and Saffron. I would not recommend either of these. Try Baati Chokha restaurant in Telia bagh. It is the original one. There are much more with similar names. But try the original one. Baati is a wheat ball stuffed with sattu and Chokha is a mash of brinjal and potatoes mixed with various spices. People like to keep the chokha simple and less spicy.See the pictures below. The food is authentic, original and ambience is nice. A meal for two cost us Rs. 450/-. Then you must also try their street food. Kachori, sabji and jalebis are available only in the morning. 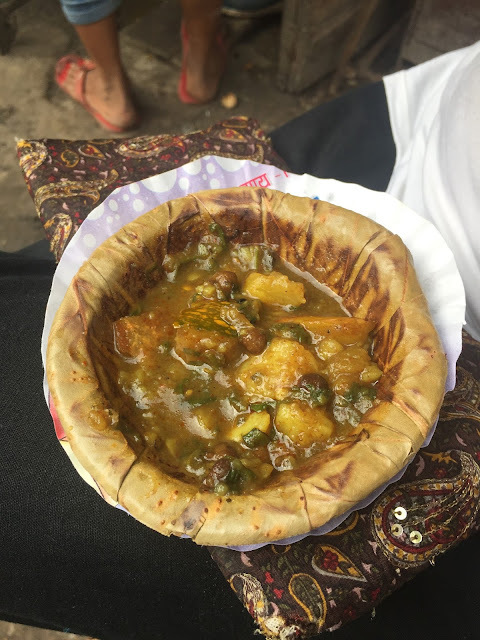 Kachori sabji makes for the most popular Kaleva (breakfast) option in Benaras. There are two different types of kachoris- badi and choti kachori. Badi kachori is stuffed with masala made of lentils called dal ki pithi and choti kachori is stuffed with a spicy potato mixture. Both of these kachoris are savoured with garam masala wali aloo ki sabzi and desi ghee jalebi. 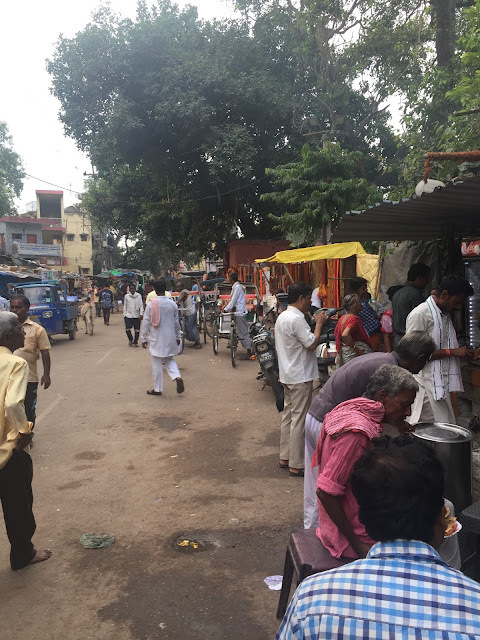 There are food stalls outside BHU (Banaras Hindu University). Try chola bhatura there and cold coffee with ice cream. Everywhere you can find lassi with cream. It is delicious. I had the most delicious boondi laddoo of my lifetime in Banaras from a local street shop. It had strong flavours of Kesar and rose. It was heavenly. Other street food to try was matar ki chaat (made from fresh boiled green peas), poori bhaji. Benaras has its own version of the famous chaat which is made with tomatoes and you'll only find it here. It is a spicy preparation in which tomatoes are mixed with hing, pounded ginger, green chillies and spices with the addition of boiled potatoes. It is served in a dona (bowl made with palash leaves) along with chaat masala and small-sized crispy namak pare. Important tip: Try to avoid private and custom tour guides and operators or even full day taxis who will sell you packages. The best is to explore the city on your own and freely move around. Ola cabs and autos are convenient and you exactly know how much are you paying. That is the only way, you won't get cheated in the city. I was told that Uber is starting there in few months. The first and very important temple to visit is Kashi Vishwanath temple. Varanasi, also known as Benares, Banaras (Banāras), or Kashi (Kāśī), is the holiest of the seven sacred cities (Sapta Puri) in Hinduism and Jainism and played an important role in the development of Buddhism. Hindus believe that death at Varanasi brings salvation. It is one of the oldest continuously inhabited cities in the world. Varanasi is also known as the favourite city of the Hindu deity Lord Shiva. Kashi Vishwanath Temple is one of the most famous Hindu temples and is dedicated to Lord Shiva. This is one of the most worshipped Shiva temples in Hinduism and has been mentioned in the Puranas including the Kashi Khanda (section) of Skanda Purana. The original Vishwanath temple was destroyed by the army of Qutb-ud-din Aibak in 1194 CE when he defeated the Raja of Kannauj as a commander of Mohammad Ghori. The temple has been destroyed and rebuilt several times in the past 800 years and the existing structure was erected in the 18th century. Photography is not allowed inside the temple and there is a lot of security and police at the entrance. You cannot even take a mobile phone inside. Be careful of people selling you things outside, tour guides and even pandits outside and inside who will end up overcharging you. 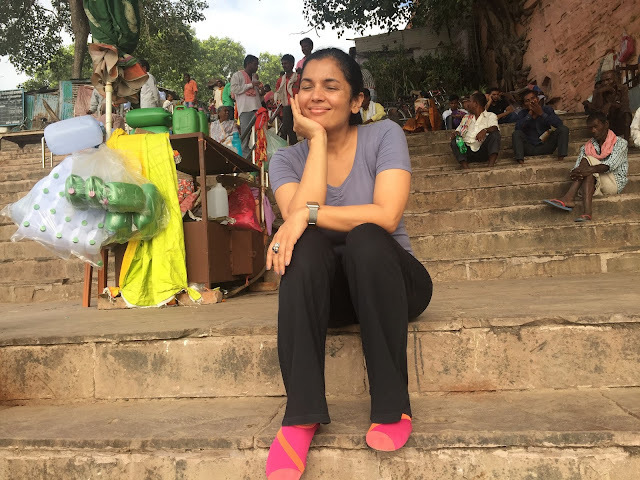 After the temple, at the walking distance is Dasaswamedh Ghat. It is on the banks of Holy River Ganga and it is known for its beautiful aarti done at night. Actually, it cannot be explained in words it has to be experienced. One gets to see all sort of people on this ghat. Pandits, sadhus, boatmen, vendors selling all different items. It is like a small bazaar there. The Ganga maiyya looks so beautiful in the morning. Very peaceful as if it is our own mother sitting there. One feels like just getting soaked in the river water and enjoy it. The Ghat has great holy importance for Hindus, so the place is frequented by thousands of visitors every day. Vehicles are not permitted into the area. This area provides for sensory overload. So much to take in all at once. There are stone temples, shrines, old wooden boats, flower ceremonies, cremations, music, prayers, incense, bright silk banners, piles of firewood, chanting etc. Well, this is where Ganga Aarti performed every evening at 7 pm. It's about 45 minutes program. You can choose to sit in the boat and have a front view of the Aarti which is performed by about 15-20 people holding Kumbhaarati after finishing Ganga pooja in detail. Motorboat/rowboat takes you from Kedar Ghat. You better take a boat at 6:00 pm which charges about Rs.150/- per head e and after the Aarti proceeds to show other Ghats further and brings you back. There will be hundreds of boats pooled without any particular order, and big tall boat in the front and small boats at the back and thousands of people standing on the boat to see the aarti. I strongly suggest have an early boat ride and go an sit on the steps of this Ghat and have a good view of aarti program and you can also go off whenever you want. And please don't buy lamps or flowers to leave in the river which are sold by hawkers there and spoil the cleanliness. Light the lamp in your heart and carry home enlightenment in the mind! 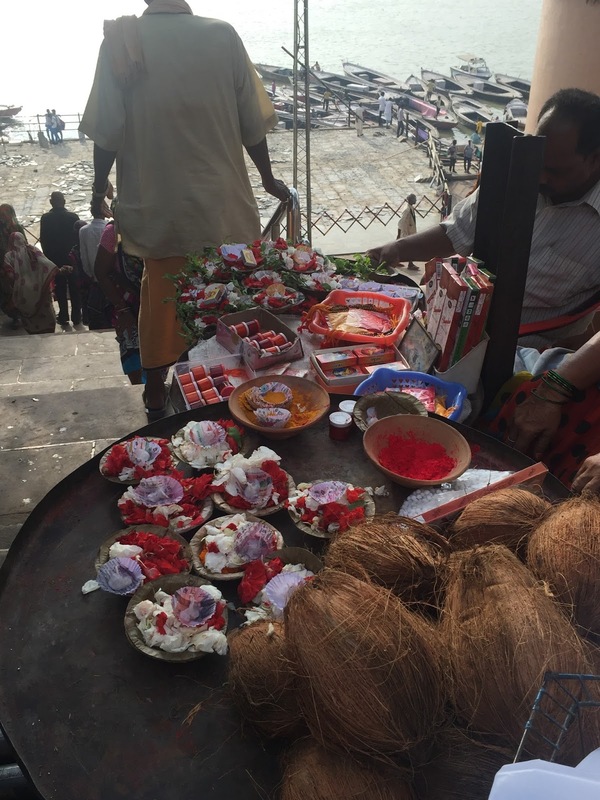 The Ghat is overcrowded and over commercialized. The Ganga Aarti in the evening is a good spectacle so try to find a good spot to watch the Aarti in its full glory. Last but not the least, negotiate hard with boatmen. Beware of touts and guides. Along with this, you can see many other ghats along the Ganges river. There is Manikarnika ghat, Jain ghat, kedar ghat, Harishchandra ghat and also Assi Ghat. I would recommend having a boat tour with sunrise on Assi Ghat. You can also participate in free Yoga camp on the banks of the river in the morning. Durga Mandir: The architecture of Durga Mandir is of a Nagara Style, which is typical of North India. The temple has a rectangular tank of water called the Durga Kund ("Kund" meaning a pond or pool.) The temple has multi-tiered spires and is stained red with ochre, representing the red colour of Durga. The Kund was initially connected directly to the river thus the water was automatically replenished. 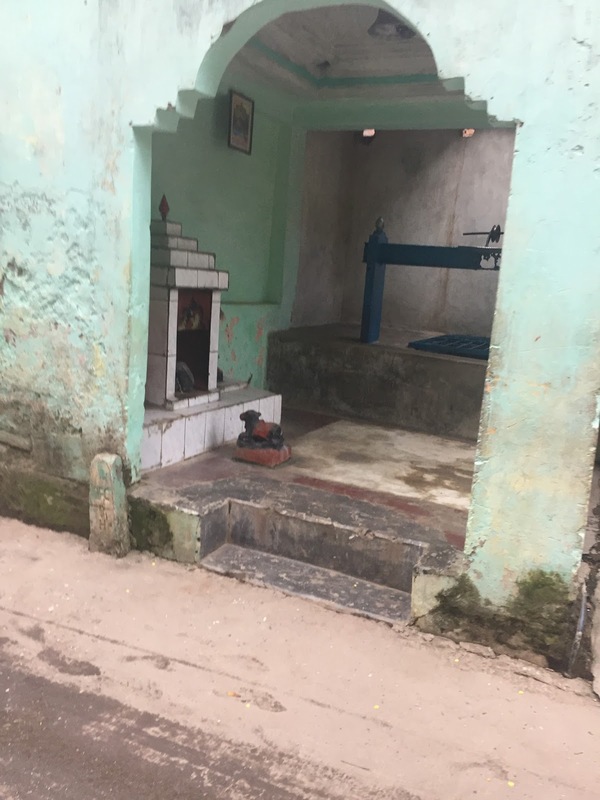 This channel was later closed, locking off the water supply, which is replenished only by rain or drainage from the Temple. Every year on the occasion of Nag Panchami, the act of depicting Lord Vishnu reclining on the coiled-up mystical snake or "Shesha" is recreated in the Kund. Sankat Mochan Mandir: Sankat Mochan Mandir is dedicated to Lord Hanuman. It is very popular with locals. It is the location for many yearly religious as well as cultural festivals. On 7 March 2006 one of the three explosions carried out by Islamic militants hit the temple, while the aarti, in which numerous worshippers and wedding attendees participated, was in progress. 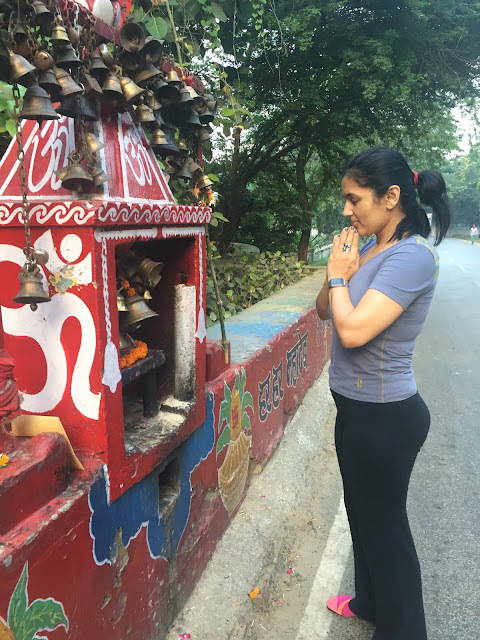 Annapurna Devi Mandir: Annapurna Devi Mandir is located near the Kashi Vishwanath temple, there is a nice temple of Devi Annapurna, believed to be the "Goddess of Food". She is a form of Parvati. 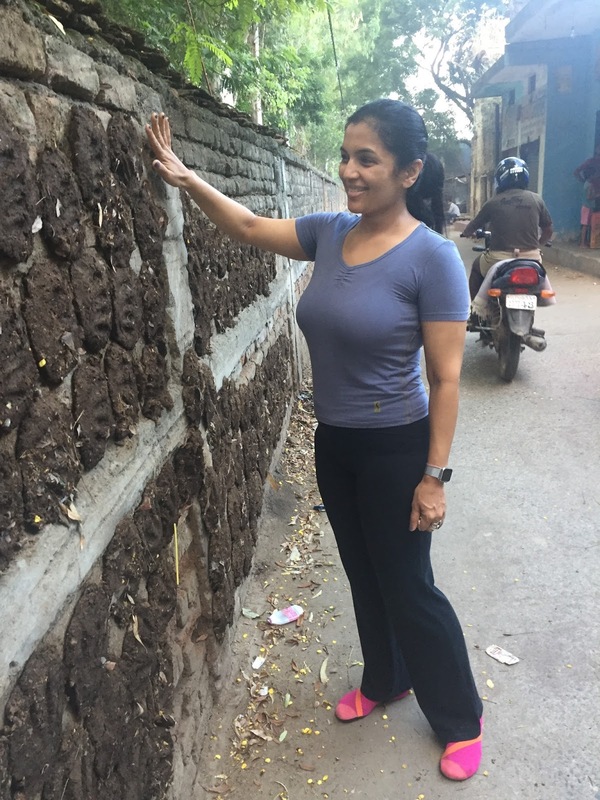 She is also known as Kashipuraadeeshwari ("Queen of Kasi"). New Vishwanath Mandir (Birla Mandir): The New Vishwanath Mandir, also called Birla Mandir, mainly funded by Birla family, was built as a replica of the old Kashi Vishwanath Temple. Planned by Madan Mohan Malaviya, the temple is part of the Banaras Hindu University campus, and represents national revival. The temple is open to people of all castes and religions. There are nine temples in the Sri Vishwanath Temple campus, including Vishwanathji (Shiva Lingam), Natarajji, Mata Parvatiji, Ganesji, Mata Saraswatiji, Panchmukhi Mahadev, Hanumanji, and Nandiji. There are idols of Lord Shiva and Lakshmi Narayanji. I must mention that Banaras Hindu University is actually worth the visit. The place is a must visit for people coming to Varanasi for the first time to see what people like Mahamana Madan Mohan Malviya have done to educate future generations. It has a vast campus. The roads were very clean. There was a huge greenery all around the campus. There were many snacks shop outside the temple gate. This is one of the oldest universities in India, & you can almost feel the history when you stand on the campus. Sarnath: This is one of the most important Buddhist centres located 10km from Varanasi. It is where Buddha preached his first sermon. In the 3rd century BC, Emperor Ashoka built stupas (mould like structures containing Buddhist relics and ashes) and monasteries here. A Gupta period stupa.about a hundred yards away from this stupa was another stupa, the dharmrajika stupa constructed in Maurya period is now destroyed by deewan of Kashi Naresh.one of the holiest structure for Buddhists. The engineering and drainage system of this ancient township will make you speechless and this is something which will make you really proud of your ancient heritage. Here Lord Buddha gave his first preaching to his five disciples. This is quite and peaceful, full of greenery..very well maintained but please visit after 1.30 as the main temple complex opens after that. Close to it is Tibetan temple. Located at back side if ASI museum in Sarnath. The Tibetian temple is built and maintained by monks from Tibet. Also, you must see the statue of standing Buddha. It is situated in the Thai monastery, India’s tallest standing statue of Lord Buddha, 80 ft in height. 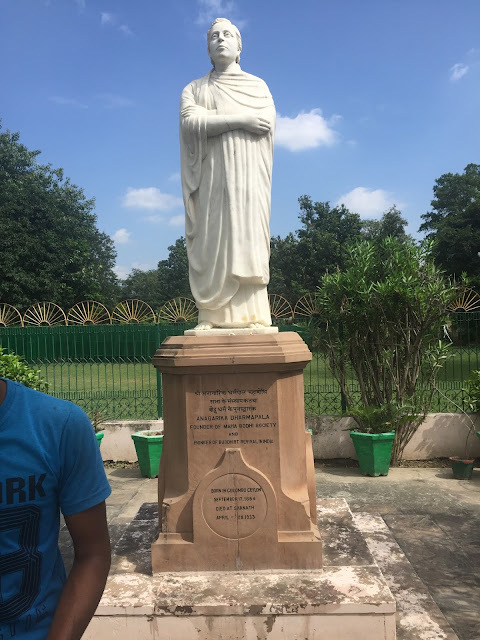 2.5 acres land used to make this statute. This Buddha statue was erected in 2011. The entire complex is managed by Thailand Govt. It's a beautiful complex and the Buddha statue is quite imposing and magnificent. Good complex to hang around a bit and some photo op. Enjoy the pictures below. There are too many of them. Some of them have the descriptions too. Narrow lanes outside Kashi Vishwanath temple. Lots of colourful stuff to buy. Before going for a boat ride to see the aarti at night on Dasaswamedh Ghat. Some of these sadhus are really angry too. (After meditation and prayers, I expected them to be calm). Many of them are seen smoking too. Sitting on the boat. Going to see the Aarti. So many boats clustered together. Everyone here is so commercial that even this Sadhu wanted money for a picture with him. Sankat Mochan Hanuman temple. Again no pictures, camera or cellphone is allowed inside. Famous lassi of Banaras with lots of thick cream on top. This is another famous thing to buy in Varanasi- handpainted wooden torans and latkans. Original stone of the temple. Simple motif is used on the borders of Banarasi sarees. We were also enjoying the delicacies of Banaras along with our shopping. Assi Ghat. Morning time- boat ride with sunrise. People doing yoga at the Ghat. Our morning walks. I must walk in every new city I go to. It gives me better orienttion of the city. Cow dung on the walls. 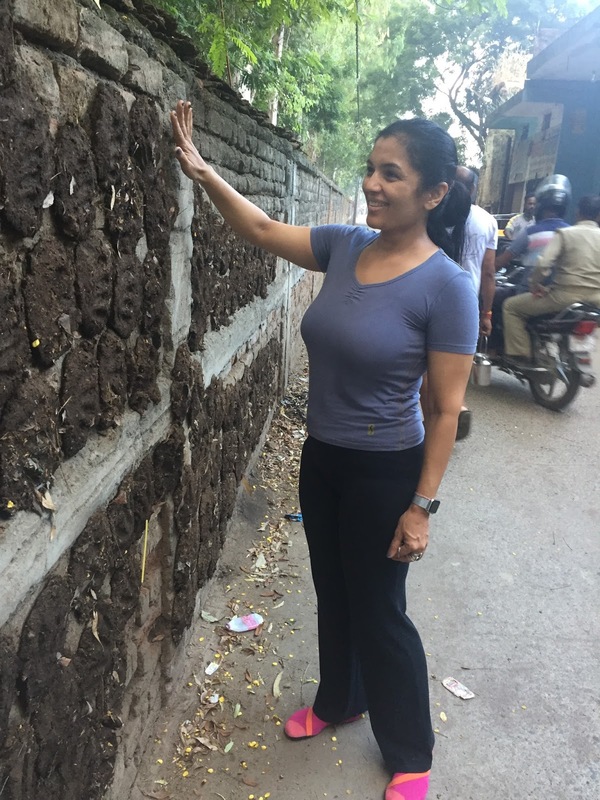 Most of the building and even houses in the city are old and have a heritage value. You see so much garbage on the roads. Kachori and Jalebis in the morning. Soaking in the rays of sunrise. In the next blog post, few more pictures of Assi Ghat.